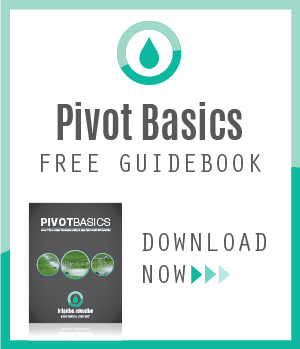 Many people don't consider center pivot irrigation because of the size or shape of their field. 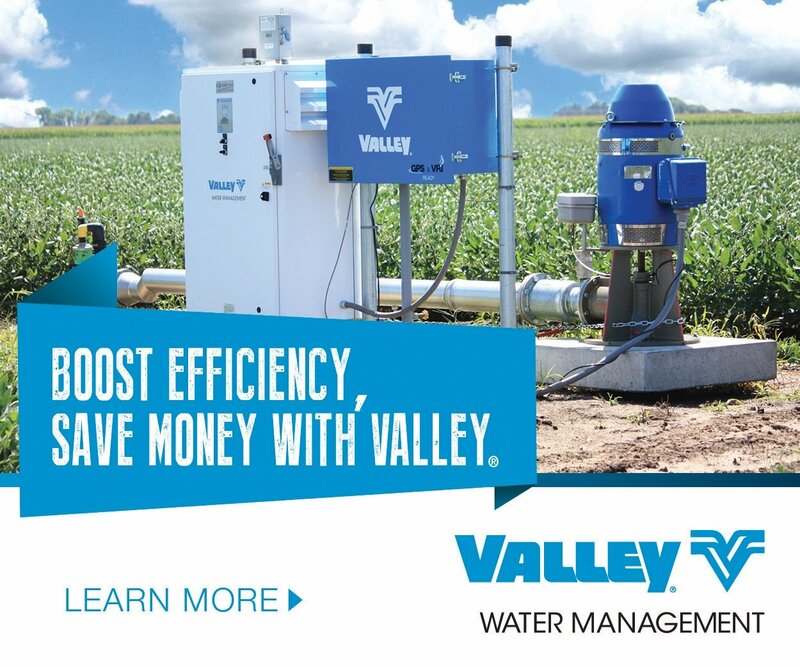 Some farmers may not realize that small, irregularly shaped fields can also benefit from an irrigation system. Linear irrigation, although less common than center pivot irrigation, can be a solution for these types of fields. Linear irrigation machines travel back and forth across your field instead of around a central point as a center pivot does. A linear can move in a straight line, in forward or reverse. 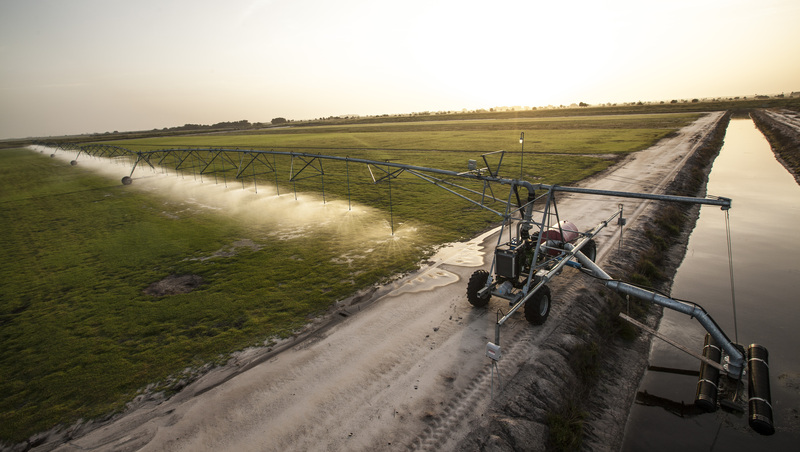 Their mobility makes linears one of the most efficient forms of farm irrigation, typically irrigating 92 to 98 percent of a square or rectangular field. 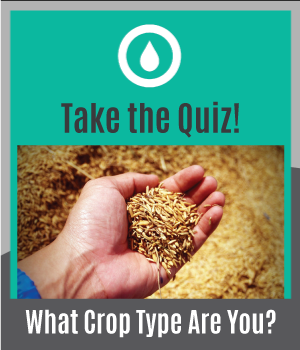 Linears can also assist with chemigation, fertigation, and germination, and can help decrease leaching that can occur through other irrigation methods. Linears have small, four or two wheel carts which may be towed forward and reverse. A swing-around package can also be ordered, which can be beneficial if you have two adjacent fields or an ‘L’ shaped field. Small, flexible linears usually pull long hoses and have the ability to reverse without having to move the hose. This overcomes one of the primary disadvantages of linears – labor to handle and move the hose. Linears can in many cases bring the advantages of center pivots (application efficiency and uniformity, cost effectiveness, and low labor requirements) to these smaller, irregular fields. Click the image below to watch how basic two-wheel, swing-around, and towable linears move around fields. There are multiple types of linears designed to accommodate different field types. Here are a few different options. A ditch feed irrigation machine uses water provided by a ditch running alongside the field. 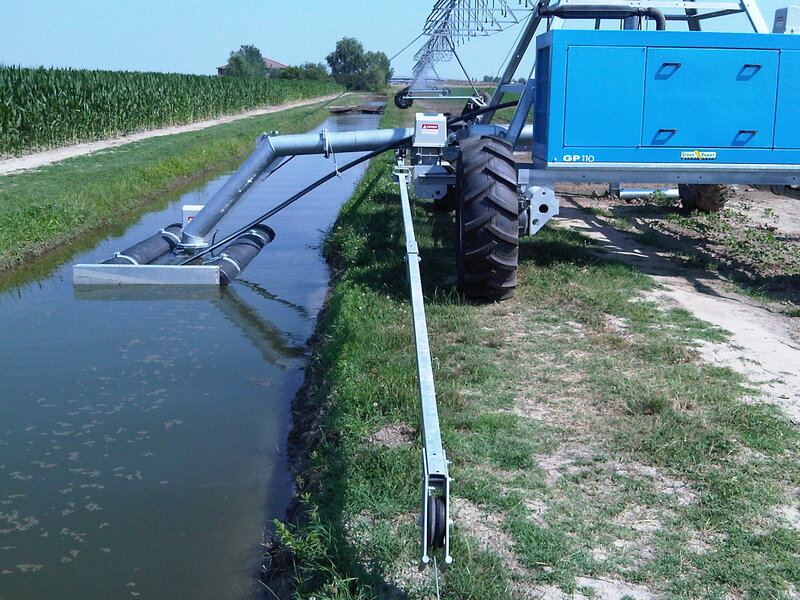 A two wheel linear is an example of an ideal irrigation system for smaller fields. 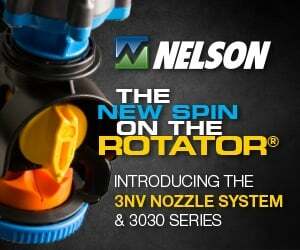 It is available for both hose feed and ditch feed water delivery and is able to provide maximum water application. Because a ditch feed linear's flexible suction fits in nearly any functioning earth ditch, your investment will be kept low and you won't have to install a new container to hold your irrigation water. 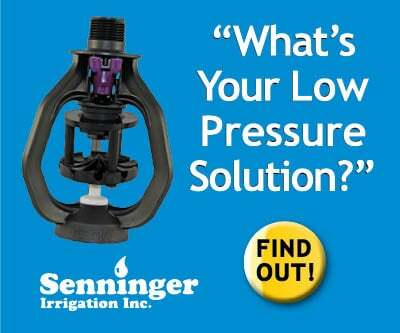 This type of irrigation can have below-ground cable, furrow, or GPS guidance. 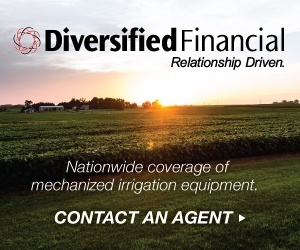 Ditch feed irrigation uses an earth ditch or concrete canal as a water source, and can have above- or below-ground cable, furrow, or GPS guidance. This type of irrigation is ideal for longer fields or fields that may already have a ditch beside it. 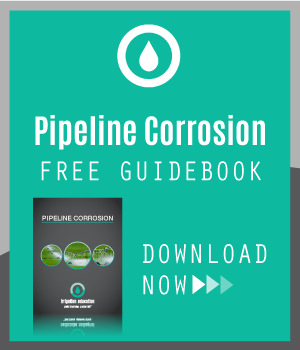 Hose feed irrigation, like ditch feed, can have above- or below-ground cable, furrow, or GPS guidance, but uses water from a pressurized pipeline. This would be ideal for smaller fields because the hose will not be dragged as far as for a longer field, which could require more maintenance. This type of linear is designed for swing-around applications and is available for hose feed or ditch feed. These linears are ideal for 'L' shaped fields, or unconventionally shaped fields that are not able to be irrigated by a center pivot. 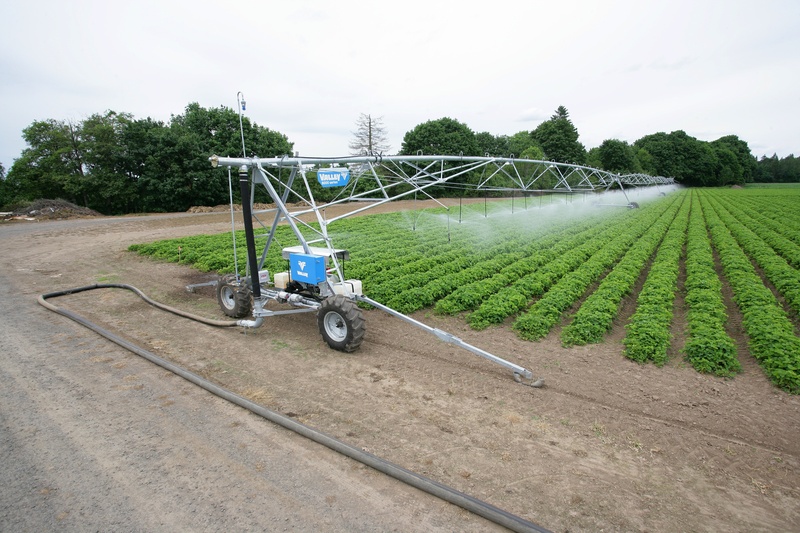 Universal linears can irrigate while swinging around, and can be towed from field to field. A hose feed linear irrigation machine uses water from a pressurized pipeline. You may be surprised at the number of linear applications there are. 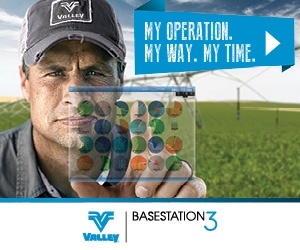 If you think a linear irrigation machine could benefit your field, log into irrigation.education and take the Theory of Linear Operation and Introduction to Valley Linears courses.